For me, this election is about character, and that’s why I am backing Ed Miliband. I can remember the moment when I decided that he was the person to lead us into the future. It was a speech he gave, without notes. He was fluent and thoughtful. He argued his case. But above all, he looked and sounded like a leader, and I was mightily impressed. Last Sunday, along with 300 other people at the leadership hustings in Leeds, I saw those same qualities on display again. And I was reminded that who wins this election really does matter. Well, first, because we have to understand the past in order to get the future right. On Labour’s achievements in government, you only have to look at what’s now under threat to be reminded just how important they were. But we do have to face up to the fact that we lost. And the most important question is – why did we lose? Because we stopped listening. And until we start listening, we will not win again. Oh dear, and it was all going so well. Was it a lack of fresh air on the plane? Something he ate? Perhaps it was the heat which has shorted the political circuitry in his brain? Whatever it was, David Cameron seems to be going berserk. It was the rare appearance of the not-very-often-spotted glowering Gordon at the weekend which reminded the nation we were not just short of a few bob but a leader of the Labour Party. Gordon Brown, aware of his popularity in certain circles, chose that well known suburb of Kirkcudbright, Uganda, to re-emerge on the public scene. – Channel 4. Labour is trying to score cheap party-political points. The Opposition wants to exploit potential Tory divisions on the issue, even if it means performing a policy somersault. 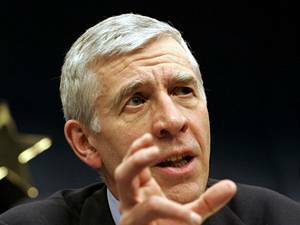 Jack Straw (who has form, having first promised and then abandoned the EU referendum) sought to justify this shabby volte-face by insisting that it is not AV that Labour opposes but the other half of the Bill, which seeks to cut the number of MPs by 50 and make constituency sizes more equal. With an apparently straight face, Mr Straw claimed that redrawing constituency boundaries was “very, very partisan” and amounted to “gerrymandering”. – The Telegraph. 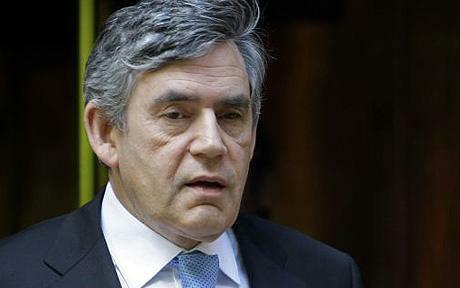 A large number of Tory MPs are unhappy about the proposals for constitutional reform. They feel that these have not been thought through and that they could prove to be a second instalment of Blairite recklessness. The referendum on AV (the alternative vote) is the immediate challenge. It will require legislation. Bernard Jenkin and other Tory rebels would be ready to co-operate with the Labour front bench to defeat it. Mr Jenkin has form. In the 1992 parliament, he was one of the Tories who collaborated with Labour to sabotage legislation on the Maastricht treaty. Today’s Labour leadership might conclude the coalition could not survive the death of AV. – Financial Times. …with Labour now likely to oppose the referendum bill, which also promises to cut the number of lawmakers and make boundary changes to electoral districts, the government could face its first defeat when parliament debates the issue in early September. And most Conservatives will line up against the referendum if a vote does happen. Under the terms of the coalition deal, Mr. Cameron’s party were free to campaign for a “no” vote just as the Liberal Democrats were allowed to abstain on certain issues in parliamentary votes. Mr. Cameron and his party support the current First Past the Post voting system which favors the two biggest parties: the Conservatives and Labour. – Wall Street Journal. “I am proud and honoured to receive the support of so many of Labour’s leaders in local government and grassroots activists. These are the people at the frontline of Labour’s fight against the Tory-Liberal coalition. These are the people we need to engage to rebuild and renew our party if we are to win back power.” – David Miliband, Carlisle News and Star. Celebrities and politicians including Peter Andre, Sarah Brown and David Miliband paid tribute to the World’s oldest tweeter following her death. Ivy Bean, 104, passed away in her sleep last night after being unwell for several weeks. Leading the online tributes was Mrs Brown, who praised the late silver surfer for her ‘great spirit and sense of humour’. – The Mail. Online crowdsourcing has been hidden in the nooks and crannies of politics for long enough. The past few months have seen this democratic use of technology surge to the forefront of mainstream political dialogue. But if something is worth doing, it’s worth doing right. Tory MP Douglas Carswell used his blog to crowdsource the first question of David Cameron’s initial PMQs… before continuing to raise House of Lords reform, a topic he himself has been trumpeting to anyone in the Tory party who would listen. Meanwhile the public consultation that is the Treasury’s spending challenge suffered setback upon setback and has not done enough to create any real dialogue between government and citizen. You will see from Margaret Beckett’s letter that the working group on the PLP Standing Orders is proposing that we proceed with a meeting to discuss how we choose our Shadow Cabinet at a special PLP meeting on Tuesday 7 September at 12 noon, followed by a ballot of the PLP on Wednesday 8 September from 10am-5pm. Further to my most recent letter I am writing to set out some proposals and choices on how our Shadow Cabinet is chosen from the autumn. The working group established by the PLP has now met on a number of occasions, we have taken evidence from many members of the PLP, and we have received a number of written submissions, for which many thanks. Rahm Emanuel never wastes a crisis and neither does the Tory-Lib Dem government. The Thatcherite ends which this government use crises to advance would be anathema to President Obama’s chief of staff. Idealists who cheered Obama’s election have been frustrated by subsequent pragmatism. David Cameron, in contrast, has been much more of an ideologue as Prime Minister than previously; though one more concerned with the low cunning of making his beliefs real than with their principles. There’s one constitutional reform that would make Britain fairer and more representative, but currently lowering the voting age to 16 isn’t on the cards. For once, we should follow the Isle of Man’s lead. The Isle of Man isn’t renowned for liberal government. Birching and anti-homosexual laws were abolished only relatively recently, and penal policy is still draconian. But in terms of voting reform the Isle of Man has always been a step ahead. In 1881 they were the first to introduce votes for women, and then in 2006 the Manx parliament, Tynwald, chose to reduce the voting age to 16.